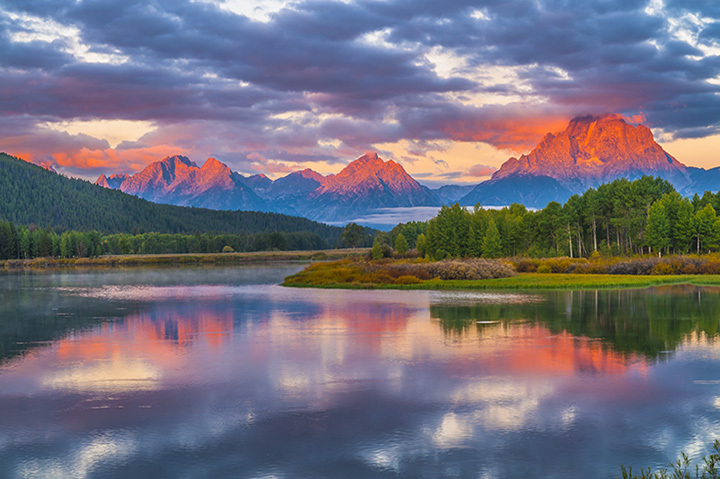 There are plenty of reasons to be impressed with the state of Wyoming: its the home to Yellowstone, America's first national park and our first National Monument, Devil's Tower. Long before the 19th amendment, ratified in 1920 Wyoming gave women the right to vote, and in 1925, elected the first woman governor in the U.S. The state has been home to cowboys like Buffalo Bill Cody, and entrepreneurs like the founder of the J.C. Penney stores. Although it's the least populated state, it makes up for it with impressive populations of wildlife, from elk to bison. Ready to see some other impressive things in the Cowboy State? Here are 20 places to start. This former fur-trading post became a critical military post during the Plains Indian Wars. Today, you can explore uniforms and weapons from those days. The grounds are beautiful - and there are even a few ghost stories associated with the place. The breathtaking Teton Mountain Range offers hundreds of miles of hiking. Abundant wildlife and incredible scenery also makes it a favorite destination for photographers. Since 1897, folks have been drawn to this incredible celebration of cowboy life. There are rodeo events, pony races, steer roping, cook-offs and much more. America's first national park is filled with natural wonders, not the least of which is the geyser known as "Old Faithful." You can also explore more of this wilderness area, which includes rivers, canyons, forests and amazing amounts of wildlife. It's long been known as a fantastic destination for winter activities, ranging from skiing, dog sledding, snowmobiling, snowshoeing and more. If you ever wanted to try your hand(s) at ice climbing - or are already experienced on the frozen falls - this festival is worth checking out. Not only is there instruction at all levels, but plenty of demonstrations by world-class climbers.